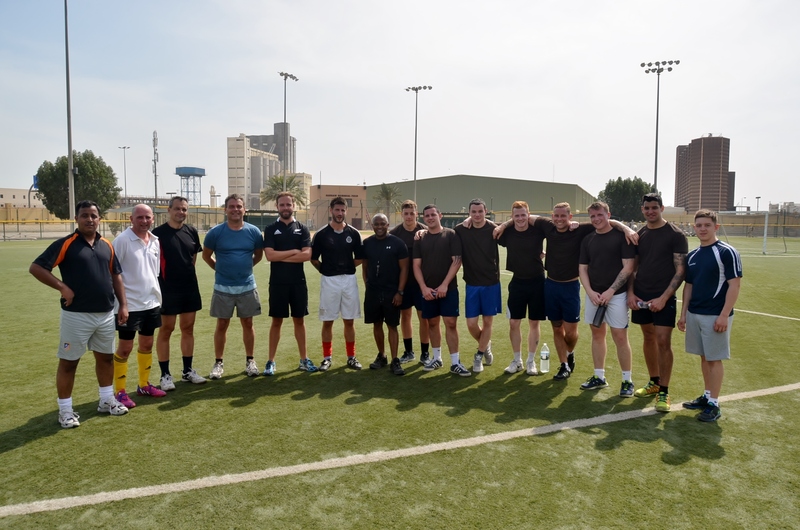 Members of Combined Maritimes Forces (CMF) took time away from operations to have a friendly football tournament on Tuesday March 24, 2015. 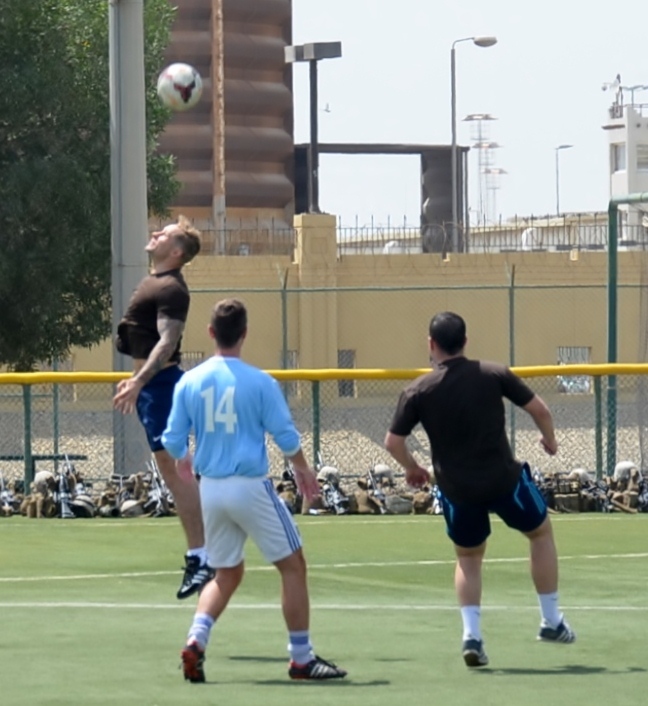 Sponsored by the Canadian-led Combined Task Force 150 (CTF-150), the tournament saw the participation of five teams: the Canadian-Australian CTF-150, the Royal Navy, a British Engineering Team, a CMF team and one “All-Stars” team made from Senior Representatives of various nations. The competition was fierce and played in good spirit. In the end, the British Engineering Team won the honours with a decisive victory over the CMF team. “The tournament was a great opportunity to reinforce the esprit de corps, teamwork and friendship among CMF contributing nations,” said Commodore Brian Santarpia, Commander CTF-150. “It also provided an opportunity to witness the talent of all the players”.